Our finishes aren’t just about texture and colour, we can also clad our planters with other materials. Recently, a client specified a copper clad planter for their residential project. 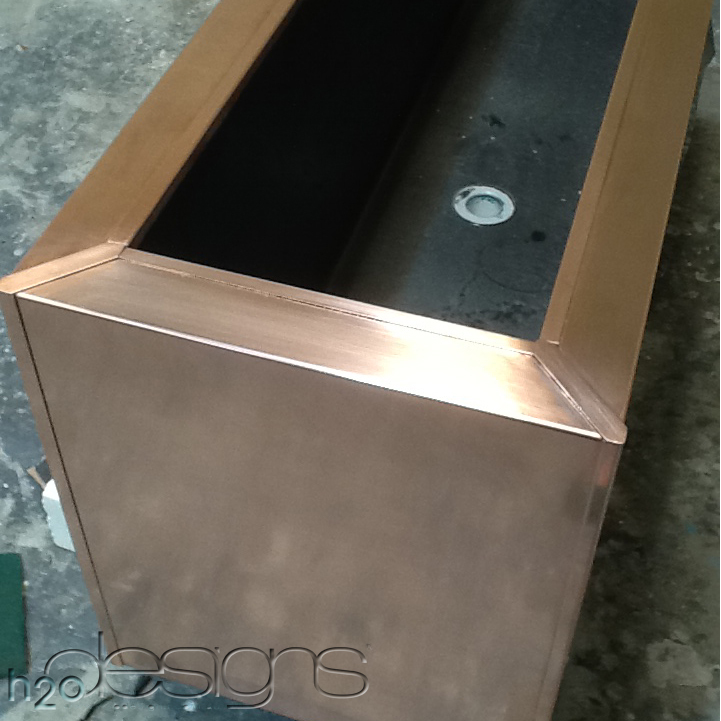 The tops and sides of the planter are clad with folded copper sheets while the edges are finished with angled copper strips to hide and protect the seam. 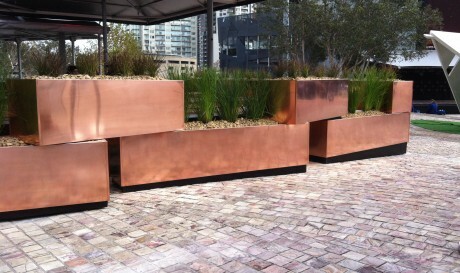 For a commercial project using copper clad planters, see our Arintji project page. Copper Clad KUBE Series Planter. 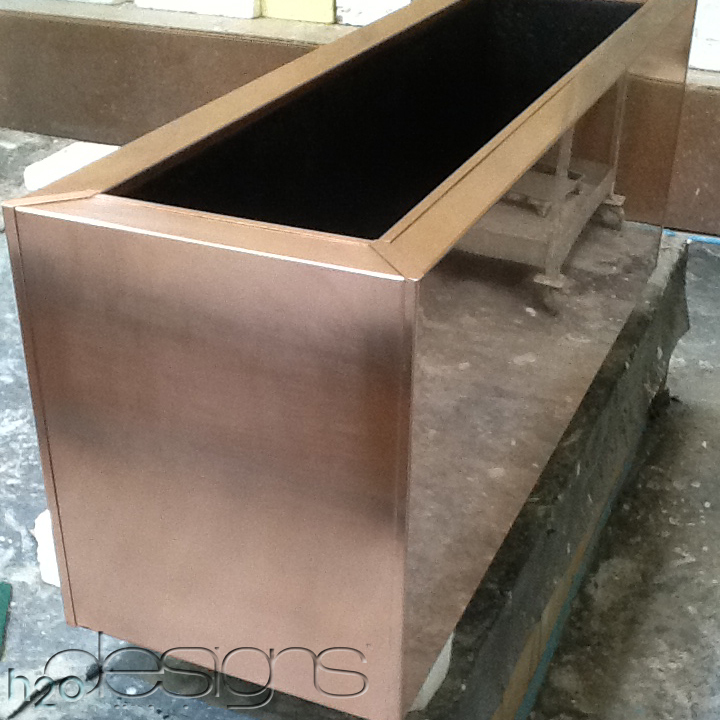 Copper Clad Planter – Detail: Edges, internal membrane and drainage. This planter was delivered to Perth in a customised palette to protect the copper surface and support the planter for safe transportation. 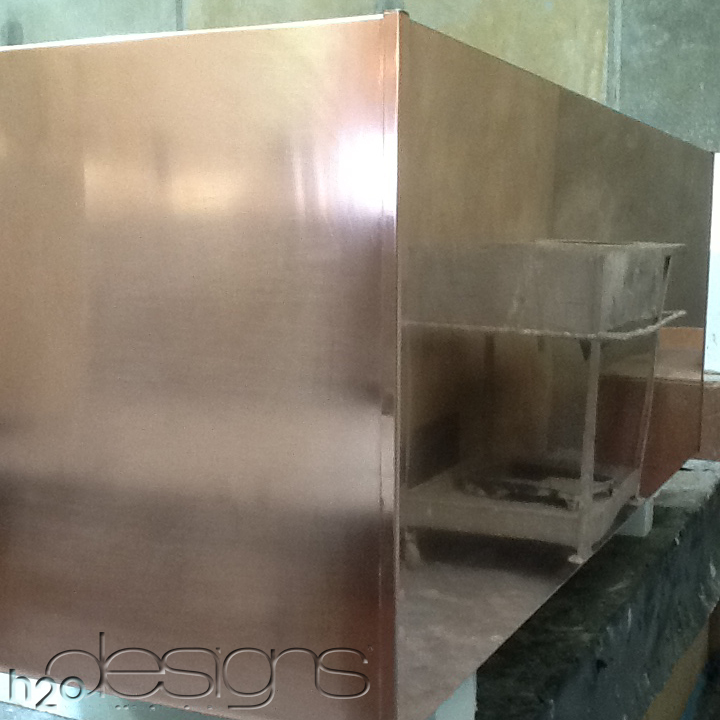 Copper Clad Planter – Detail: Copper surface and edge. Contact us to find out the endless possibilities a h2o designs custom-built KUBE Series planter can provide for your next project.